Mint happened to be one of my favorite colors at the moment. 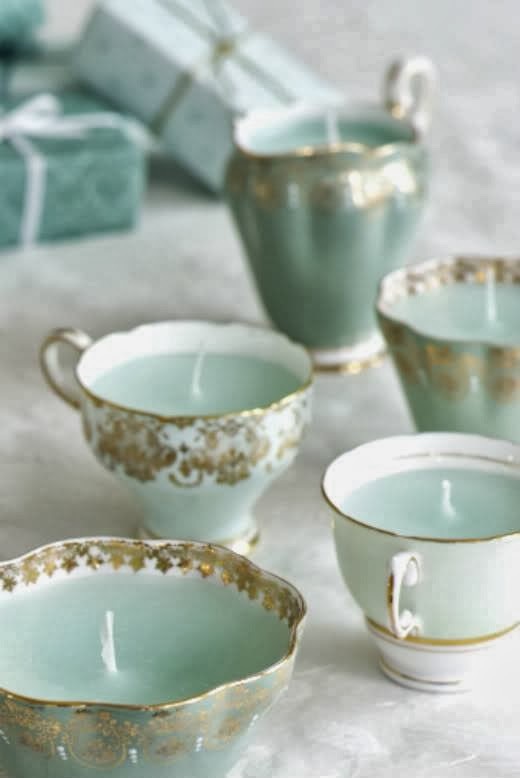 In fact, I'm obsessed with mint, both flavor and color. So, how could it be possible for me to do nothing after seeing this pretty image? By the way, you should really click on the link at the bottom of the image. It's a step by step tutorial posted by Everything Fabulous. It sounds like a really fun project. And here's what I have - wedding invitation in mint, ivory and gold. 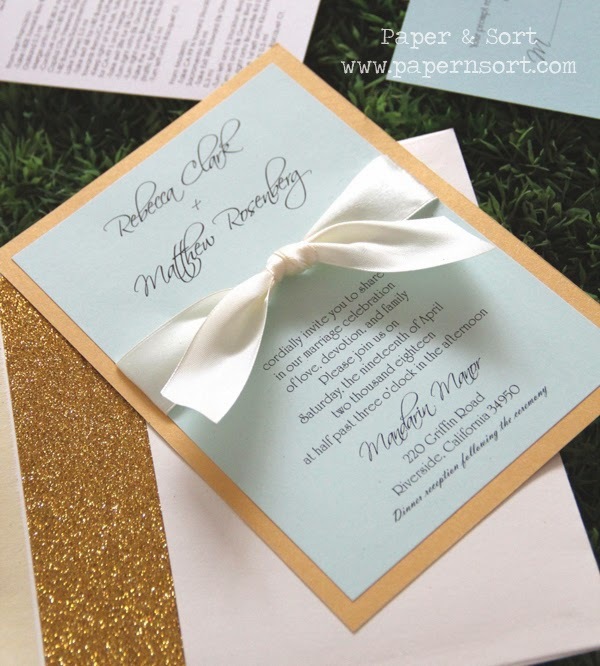 I used mostly ivory and mint, then added a little gold accent for the invitation set. The gold glitter paper liner in the envelope will wow whoever that opens it up. 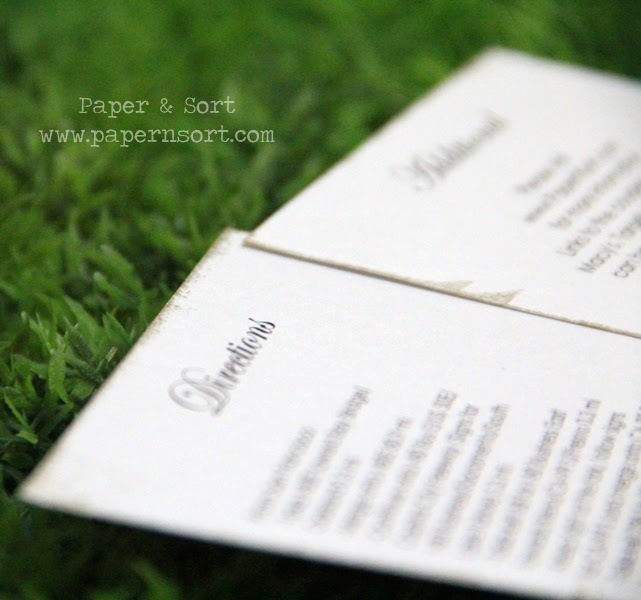 The invite in mint and gold paper, embellished with an ivory satin ribbon. Notice how sparkly the envelope liner at the back! Enclosure cards made of shimmery paper. All edges are inked with gold ink pad, by handmade. 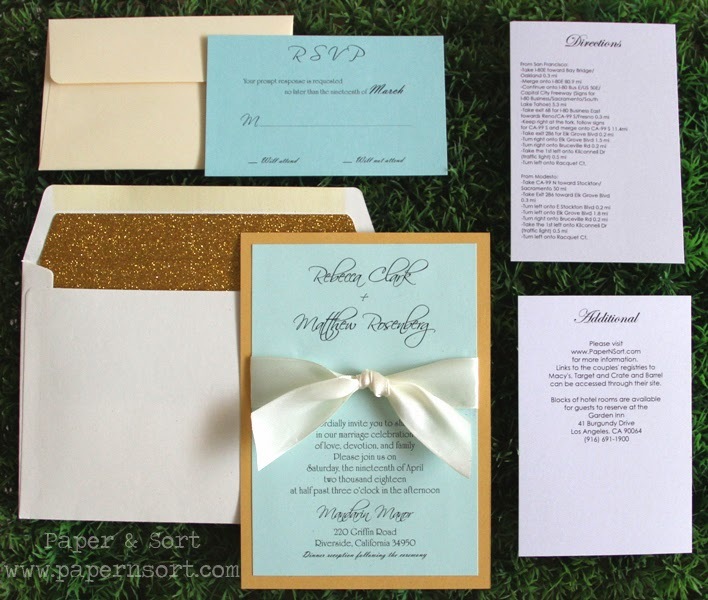 Full Set Wedding Invitation in Mint, Ivory and Gold.